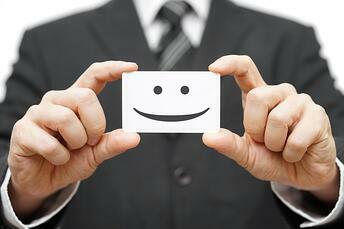 If Your Employees are Happy, Your Customers Will Be, Too! It is well documented that engaged employees take more pride in their jobs and are more likely to go above and beyond their expected responsibilities. This passion for their work directly translates to their interactions with customers. In fact, organizations with a high-level of engagement see a 10% higher customer satisfaction rating than those that do not. The ultimate goal of any organization is to delight their customers to increase their willingness to buy again and recommend to others. As the face of the organization to its customers, employee’s attitudes and enthusiasm to exceed customer expectations impacts the overall customer experience. With a competitive landscape that will no longer tolerate less-than-stellar customer experience, organizations need to address the correlations between employee and customer attitudes and how both the internal and external brand of the organization is affected.